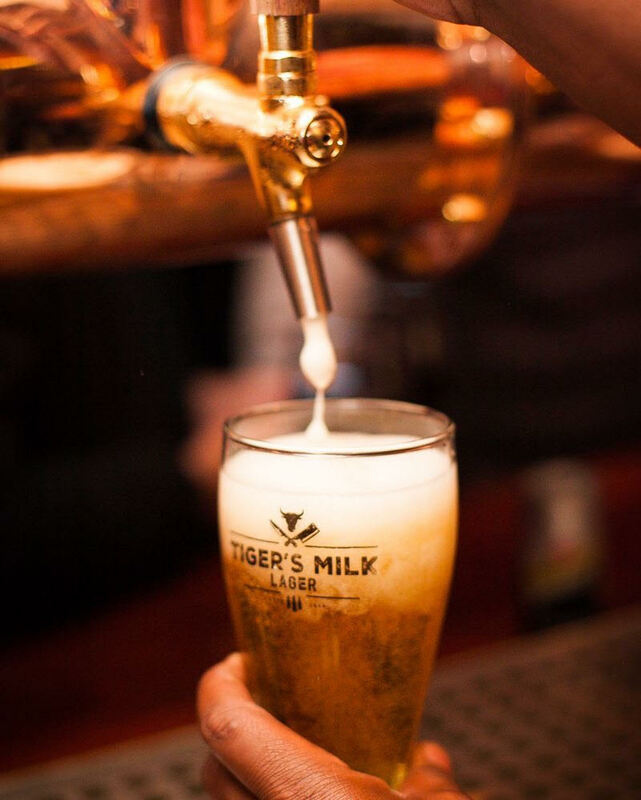 Since inception, I have been a massive fan of Tiger’s Milk and what they have to offer. 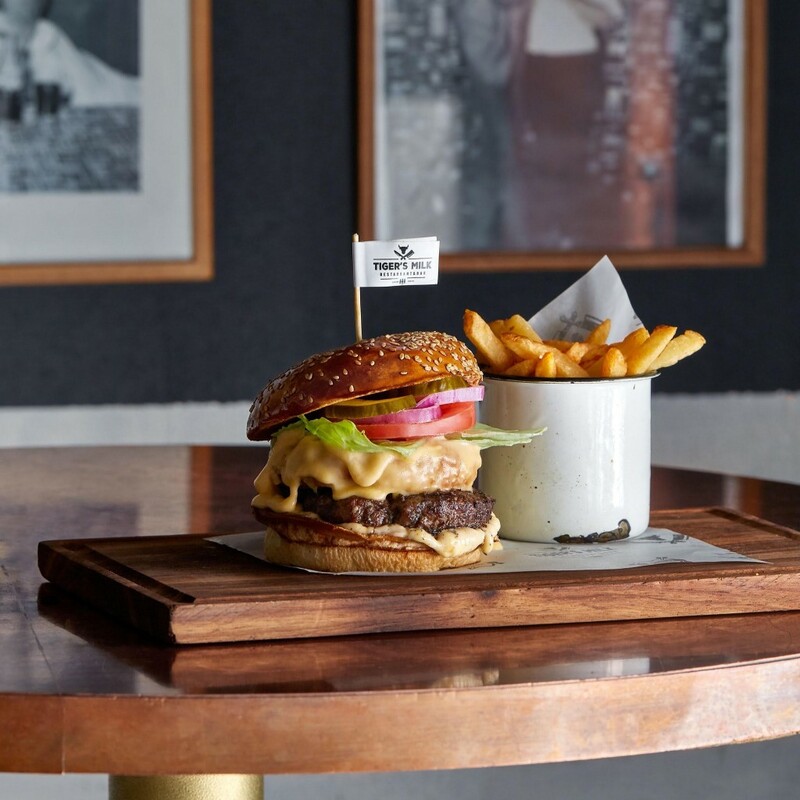 A good variety of grub, rad vibes at their Kloof Street and Camps Bay establishments which are both locals of mine, rad drink specials, and the occasional special event that’s always a hit! I see they have added a few new specials to their ranks, and because you guys consider my restaurant reviews and specials one of the most popular choices to check out on my blog, I thought I would share their three new specials with you. Oh, and the taco special launches today, so it’s pretty damn good timing! Grab 2 cheese or mushroom burgers all day Monday for the price of 1! 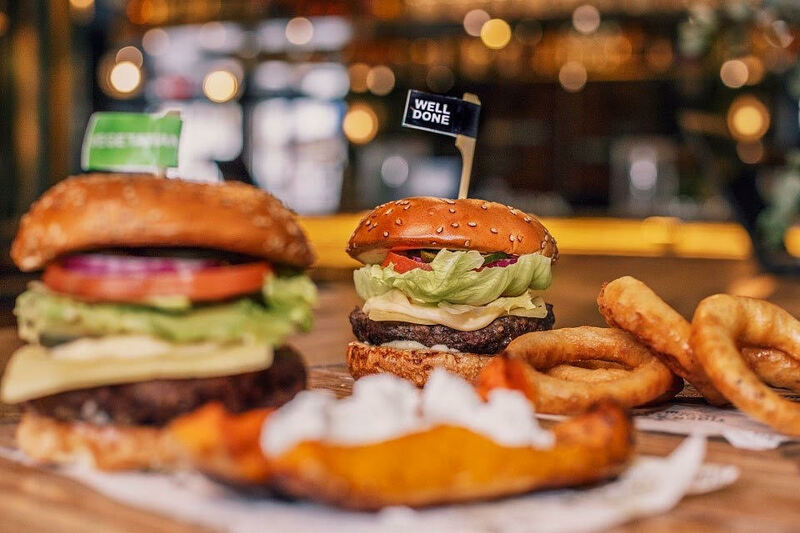 If you’re in for an extra sized deal, pair your burger with our Pick Your Poison drink special for double the trouble. Price of Burger: R98. Beef patties can be swapped for vegetarian or chicken options and includes a side of your choice. Every Tuesday is Taco Tuesday! 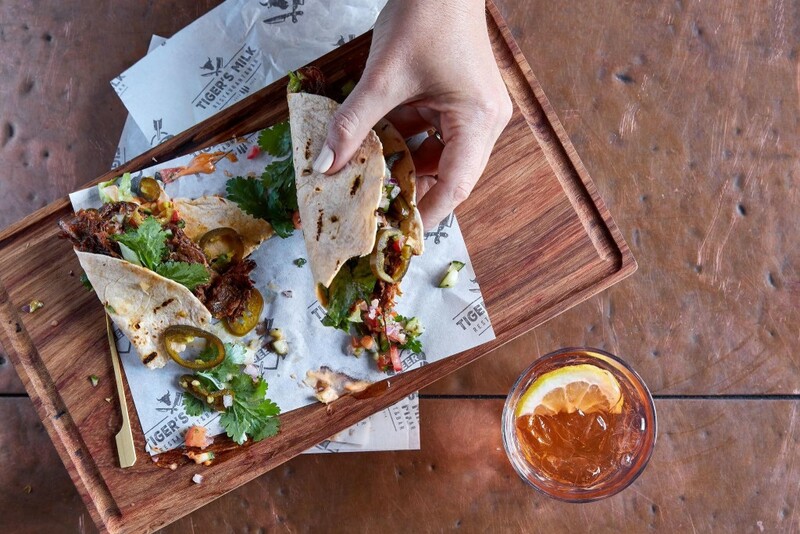 Grab two portions of beef, pork, fish or vegetarian tacos for the price of one at all Tiger’s Milk stores. Valid all day at all Tiger’s Milks. Choose any 2 tacos and the cheapest one is free. Sit down only. Not available for take-away. Drinks Included: Tiger’s Milk Lager, Part Wolf Lager, Part Wolf Lite, Devils Peak Alpha Berry Cider, Hampton Sauvignon Blanc, Rose & Merlot (Glass or Bottle), Plain Daiquiri, Gin up my Cobbler, Gogo Juice, Sherbet Smack (Virgin) and Crazy Cranbucha. You can find their store locator [here] which has all the booking details for their branches in Cape Town and Jozi. You can follow them on Twitter @TigersMilkZA and Instagram @tigersmilkza for more about upcoming events, specials and DJ lineups for their Camps Bay venue! If you decide to visit them on a day where there are no specials, I highly recommend their wood fired pizzas, bacon and cheese mac n cheese bombs, fall off the bone ribs, sticky BBQ wings, insane platters, and the delicious Tanq Jug if you enjoy your gin!